Who knew that the great country of Canada is named for a mistake? How about "bedswerver," the best Elizabethan insult to hurl at a cheating boyfriend? 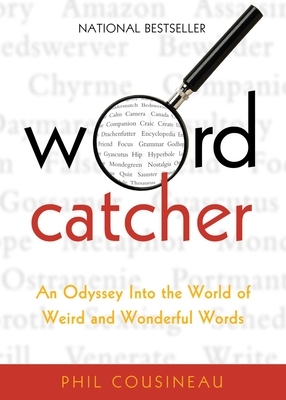 By exploring the delightful back stories of the 250 words in Wordcatcher, readers are lured by language and entangled in etymologies. Author Phil Cousineau takes us on a tour into the obscure territory of word origins with great erudition and endearing curiosity. The English poet W. H. Auden was once asked to teach a poetry class, and when 200 students applied to study with him, he only had room for 20 of them. When asked how he chose his students, he said he picked the ones who actually loved words. So too, with this book -- it takes a special wordcatcher to create a treasure chest of remarkable words and their origins, and any word lover will relish the stories that Cousineau has discovered.